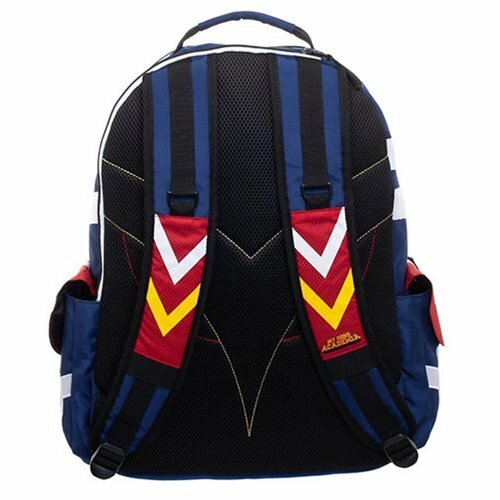 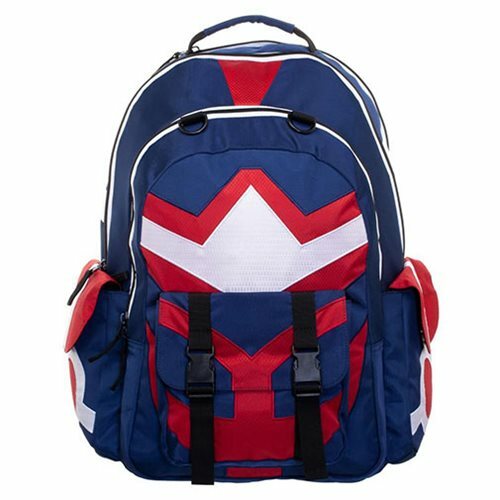 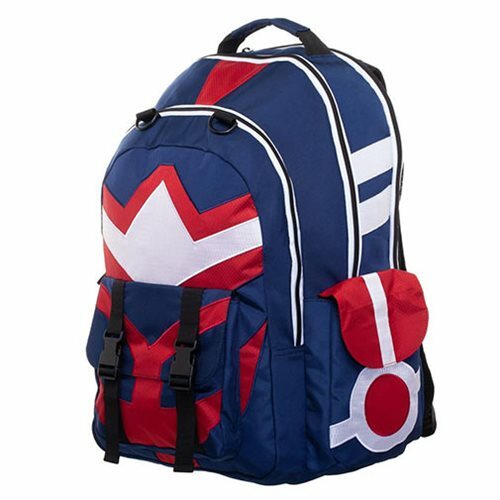 Carry everything you'll need in this My Hero Academia All Might Inspired Backpack! 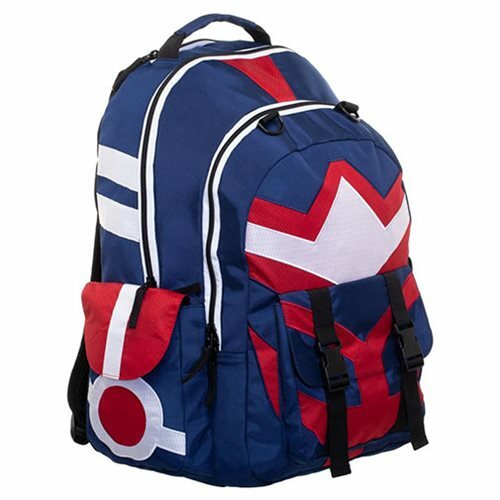 The design is inspired by All Might, complete with plenty of pockets to hold your supplies. 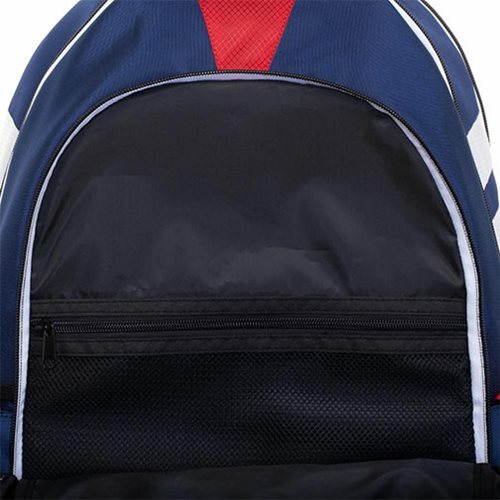 Made of polyester, it measures approximately 18-inches x 12-inches x 5-inches.